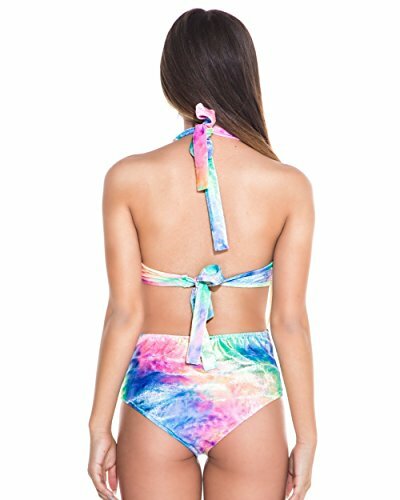 The Women's Trippy Tie Dye Crushed Velvet One Piece Rave Bodysuit is the perfect way to add some color and funk to your wardrobe. This halter bodysuit with adjustable straps will have others trippin' as they double take this rainbow regalia. CUTE & COLORFUL: This rave romper features a cute new style that you'll undoubtedly fall in love with. The trippy tie dye pattern is both beautiful and vibrant that everyone is sure to notice! The Trippy Tie Dye Velvet One-Piece is the perfect way to add some color and funk to your wardrobe. This halter bodysuit with adjustable straps will have others trippin' as they double take this rainbow regalia. 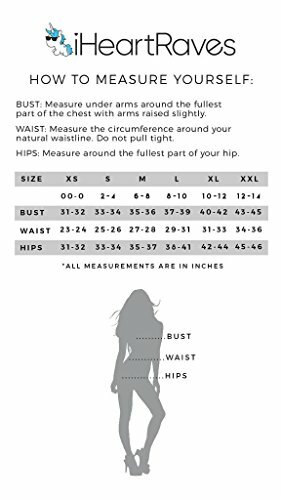 FIND YOUR SIZE: Refer to our size chart in the product photo to find your best fit! Model is wearing size Small; Model Measurements: Height: 5' 2" - Bust: 32" - Waist: 23" - Hips: 33"
If you have any questions about this product by iHeartRaves, contact us by completing and submitting the form below. If you are looking for a specif part number, please include it with your message.